Remember, We’re Always Here – Whether You’re Locked Out Of…Or In Your Car! This entry was posted in News and tagged Car Lockout on January 20, 2015 by Locksmith Sarasota. Have you ever had one of those days when your mind is focused on the next several things you have to do instead of the task at hand? We’ve all done it, and being distracted can lead to mistakes, like locking your keys in your car. You’ll realize it the instant you hear your door close, too, and may possibly think (or even say) a few choice words. You may even have had the experience of having your key break off in the ignition. 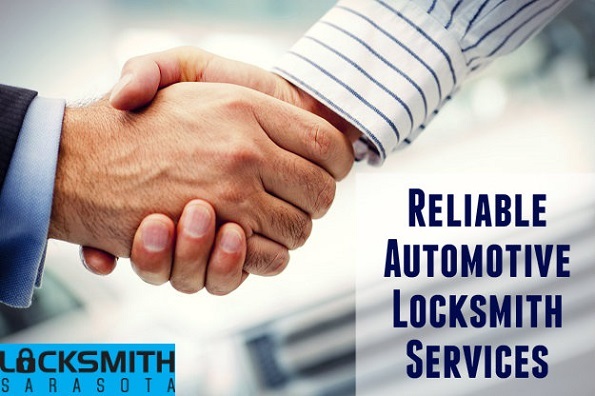 In both situations, the best solution is exactly the same: to call an automotive locksmith for assistance. A recent news story points to the importance of knowing who to call when you are having trouble with your car’s locks. In a recent news story, a senior couple was trapped in their car for 13 hours because of a misunderstanding about the modern technology of keyless entry. Mollieanne and Brian Smith, aged 65 and 68, respectively, had left the keyless transponder outside of the car. The manual for their vehicle was in the house. The combination of stress of the situation, a simple lack of information about how the keyless entry worked, and the fact that it was after dark led them to believe that they were trapped and that the only means of escape was to smash out a window. They tried to break the glass in the car without success. Trying to sound the horn to alert someone to their plight also did no good. The Smiths were in their car from 7 p.m. until 7:45 the next morning, when neighbors freed them and called emergency services. By that point, Mrs. Smith was unconscious and Mr. Smith was having trouble breathing. Locksmith Sarasota Has The Expertise & Flexibility To Help – 24/7! When you are locked out of your car or your key has just snapped off, it is a stressful situation. The best thing you can do to resolve it is to make a call to an automotive locksmith in Sarasota who can get to you promptly, whether you are at home or on the road. We here at Locksmith Sarasota offer car, truck and RV lockout services; including trunk lockout, unlocking of the ignition, jumper cables and more! Call us when you need an automotive locksmith; we are available 24/7 and can have a professional, licensed technician be at your location in less than 25 minutes to help you get on your way.